Adding new memory chip modules may be able to hold off buying a new server for now and that is precisely what Samsung has in mind. 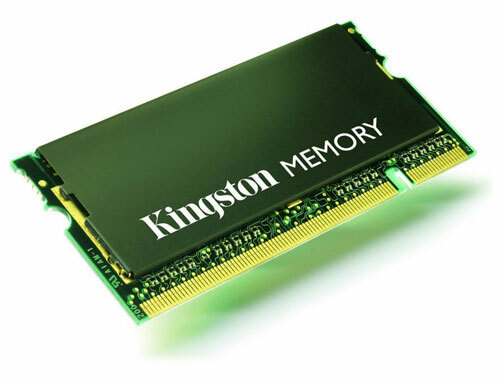 Unveiling their new memory chips, the 4Gb Chip which assure 32 GB DDR3, companies that make use of advanced servers can make use of their old servers for now until such time that the economy picks up. The development of this low-power 4 Gb DDR3 chip will help in reducing data center costs, improving server time management and increasing overall efficiency. Designed to be low-powered, the 4 Gb DDR3 DRAM operates at 1.35 volts (V), thereby improving its throughput by 20 percent over a 1.5 V DDR3 chip. Its maximum speed is 1.6 gigabits per second (Gbps). In a 16 GB module configurations, the 4 Gb DDR3 chip can consume 40 percent less power compared to the 2 Gb DDR3 chip because of the formers higher density. Buying a new server is something that many companies are trying to pass up to save on costs. A familiar practice is to turn to other components, and the memory chips are certainly something that can help them sustain efficient business operations while staying away from additional business costs as far as their IT requirements are concerned. The holiday season is just around the corner and for sure, many of us are thinking of what to get ourselves. If you are fortunate to have some people to give you costly gifts then good for you. A new computer perhaps? Considering that the holidays are the time where people get their bonuses and 13th month pay, who knows if you could we lucky enough to get a new CPU that is available in the market? There is no harm in wishing right? Well for some, there are people who rewards themselves with potential enhancements to their current computer line which include latest peripherals in the market like high powered video cards or even a larger hard disk storage device. It’s the least you can ask for after toiling with that old computer and chances are you will not settle for anything less. The things you may want can certainly vary. But depending on what you need, expect more peripherals to hit the market before the Yuletide season officially starts. So if you can wait a bit, then see what else you can expect to be offered in the market by December. Save up for it since it is bound to cost you. Wise spenders include the people who invest largely in their computers. Unlike years way back, a person could easily change any computer peripheral when they buy it separately. But considering prices are not that consumer friendly these days, you have to control that urge and wait for the right time to really change a computer part. In short, living in today’s world needs wise spending including changing computer parts which go at the rate that technology is changing. Apparently this can be seen at how frequent people are now getting when it comes to upgrading or changing a specific part. Making do with what they have in the form of processors, video cards and hard disks will have to do for the meantime. Gone are the luxury days when a new product would be introduced in the market where a computer owner can just take out the old one and install the new as easily as its plug and play feature. But the cost of these peripherals is no longer easy to suffice. A mere hundred dollar worth of computer part can be used for another more needed cause. Evidently, wising up to the finance set forth today is a must and people should know better than to spend them unwisely. In short, computers can wait but needs cannot. Think of it this way. Computers are better off bought as a whole. Part by part you will still get to the point where you will get the same parts in the end. So why spend now when you can get them more advanced later. For sure, most of us will not be content with the current PC configuration that we have. Depending on the length of time that we have had our personal computers, we are bound to want more in terms of speed and features of personal computers offered in the market. But the real question is what in particular do we look for? There are a lot of options we can think of today. Ranging from processor chips, memory modules and video cards, it may seem that the possibilities are endless. But considering that these upgrades carry costs, it would be wise to determine what you really need. There are some who go for overkill specs and traditionally these would not be put to full use. Some only need a computer for word processing or browsing the web. So how sophisticated of a specification would you need? Others tend to be drawn into tempting sales talks from PC vendors. For example, you would seek a certain specs and the usual thing you would hear is for an extra couple of bucks, you can get this higher version. Some do it to help a buyer decide and get more value for their money while others just want a better sale. When these factors set in, you are bound to go for the higher priced and supposed higher specs. But in the end, it all depends on you. You are the buyer and depending on your sound judgment, it will be you who will be paying for it. Think wisely and broadly and work on a budget. If people had their way, as long as a memory module would fit onto the motherboard slot, they would install them. But wait. Memory modules also have their proper classifications as well. This dates back to the type of memory modules that are acceptable. We look back at the Pentium III or IV. If you will recall, they had these tags of either a PC 100 or PC 133. To this day we see them still and one thing you will note, memory modules of a different kind do not work well together. You will notice this if you dare try. Other than seeing your operating system not loading properly, you will get tons of blue screens which will point to numbers which you may try to figure out. While you are busy trying to determine which hardware component this may be, take out one of the memory modules and see if the blue screen will go away. If it does, then you are trying to do something that will be constantly giving you headaches. 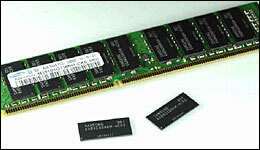 At times when you may not even know which is the proper ram module to use, it would be best to try them one at a time. Module compatibility also depends on how the motherboard will accommodate them. After you have determined which specific module type is acceptable, then that is perhaps the best way to stick to the brand that suits your PC. Testing memory modules will not really hurt your PC immediately. But if you are wise and cautious, it would be best to stick to the actual PC specs given and avoid experimenting for the proper well-being of your PC.